Nationwide foreclosure activity in September dropped to its lowest levels since July 2006, hitting numbers last seen prior to the housing crisis. Despite the new lows, slight increases in default notices and a lingering preponderance of foreclosure auctions throughout third quarter continue to keep optimism for a full housing market recovery at bay, according to the latest foreclosure report from online real estate data company RealtyTrac. The report shows that filings for default notices, scheduled auctions and bank repossessions were reported on a total of 317,171 properties during the third quarter, a decrease of 16 percent from a year ago, but a slight increase of .42 percent from the prior quarter. Meanwhile, a total of 106,866 properties reported foreclosures in September, a decrease of 9 percent from August and 19 percent from the year prior, marking a significant 98-month low. 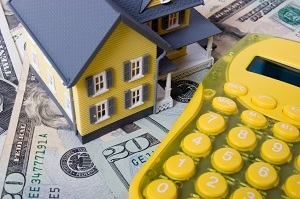 This helped account for a modest, .42-percent increase in foreclosure activity for the third quarter of this year. This is the first quarterly increase in three years and still represents a 16-percent decline from the same quarter last year. Blomquist also suggested that the rise in auction activity may foreshadow a corresponding increase in bank repossessions and upcoming auction sales to third party buyers. States with the five highest foreclosure rates in the third quarter were Florida, Maryland, New Jersey, Nevada, and Illinois. States with the longest average time to foreclose in the third quarter were New Jersey (1,064 days), Florida (951 days), Hawaii (937 days), New York (902 days) and Illinois (889 days). Scheduled foreclosure auctions increased from the second to third quarter in 32 states, with Michigan (up 34 percent), Maryland (up 30 percent), and California (up 25 percent) posting the most significant increases. While default notices nudged upwards two percent from the previous quarter, they still remained a solid 11 percent lower than in third quarter of 2013, making it the ninth consecutive quarter where default notices decreased from one year to the next. The states leading in default notices were Indiana (59 percent), Oklahoma (49 percent), Massachusetts (38 percent), and New Jersey (19 percent).